After weirding out the south with a succession of wildstyle mixtapes, Atlantan rapper Future croaked his way into the mainstream rapping about Scarface in “Tony Montana”, from his 2011 debut album, Pluto. Since then, he’s bossed his way into the fashion world, even releasing a single called “Maison Margiela”. Margiela is an apt house to reference, being as fearless, unpredictable and hard to define as Future himself. One moment he’s rapping about keeping his drug game “soft like a mink” (on “Move That Dope”) and the next he’s emo-crooning with Miley Cyrus about being a young Hendrix. With a young Hendrix. With a baby on the way with fiancée Ciara and a second album about to pop, Future is looking ahead with crystal-ball clarity. Dazed Digital: Do you consider yourself an outsider? Future: Yes. I just do and create whatever I think is best, which most of the time is outside of the normal world! My first album was called Pluto for that reason: it’s on the outside of the solar system and we can’t even decide if it’s a planet. It’s different to everything else. DD: How does being from Atlanta feed into that? Future: Atlanta has always tried to be different. Atlanta is the outsider, since the east and west coast were dominant for so long. We had to be different. Now, Atlanta’s music is mainstream hip hop because the world caught up to what we were doing. DD: What was it like growing up there? 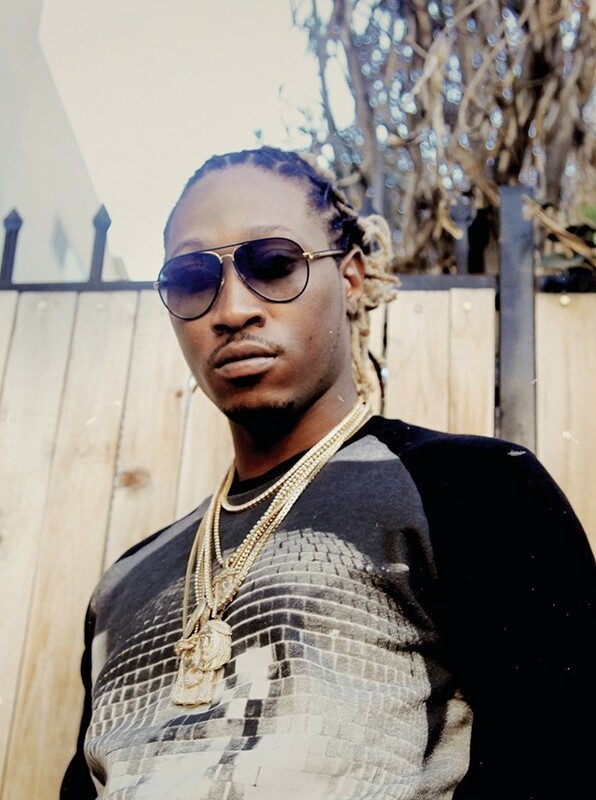 Future: I grew up under the wing of the Dungeon Family, the home of legendary Atlanta hip hop artists. My cousin Rico Wade’s (of production team Organized Noize) basement studio was The Dungeon, so I grew up there. I got to see artists like Outkast, Goodie Mob and Bubba Sparxxx record and lay verses down for massive hits. I saw TLC’s ‘Waterfalls’ get written, digging in the crates for samples. Those are the best memories. Of course, we always had some good greenery down there in The Dungeon. Everyone was welcome when they arrived. At that time, those groups were doing something completely new and out of the ordinary for hip hop. The music, the look, the videos were all different. Just watch Outkast’s ‘Rosa Parks’ video and you’ll see Dre and Big Boi wearing all sorts of crazy outfits – nobody had seen anything like that before. So I grew up with that mindset. Even in my name as an artist, Future, I’m outside of the norm. Everything I do is with the intention of being impactful in the future. DD:Were you rebellious growing up? Future: I hustled when I was young. It’s what I had to do to get by growing up in Atlanta. I put that work ethic into my music. I was in the streets though and even got shot in my hand once. But that mindset is what got me here. DD: What is it about Tony Montana that inspired you to write a song about him? Future: Growing up and hustling in the streets. When I made the song I put that little accent when saying ‘Tony Montana’ so people can relate and almost feel like they are Tony Montana. You put that little twist on it and it takes you to a whole different world. ‘Tony Montana’ was really the breakthrough moment. It was my first real hit that travelled outside of the south and across the country. My music was finally accepted. DD: Is it ever difficult for you to hold your ground? Future: Sometimes, but I’m always fighting for what I believe in. And when you’re confident in what you believe in, it will always work out for the best. I was always very competitive growing up, in playing basketball or football, and I think my uncompromising attitude comes from that competitive nature. I had to be competitive to get my music out there and heard. People didn’t know what to do with it at first because it was so different than the normal stuff on the radio. DD: How autobiographical are your songs? Future: Everything I do is on the fly. A song like ‘Turn On the Lights’ (from Pluto) was inspired by the moment. I was in the studio with Mike WiLL (Made It) and all these girls, but none of them were real. I couldn’t handle it and laid that track at the moment. The new album, Honest, is autobiographical in that it reflects my feelings at the time when I recorded the album. Listeners will get a whole new side of me on this one. There’s this one song, ‘Special’, that will bring fans to tears because it’s so truthful. DD: What was it like recording with Pharrell and Pusha on ‘Move That Dope’? Future: We didn’t record that together. Mike WiLL and I worked on it and we played it for Pharrell and Pusha T and they had to get on it. There was no choice! The song just grabbed them, and they laid their verses that day. It’s amazing to see them work. Pharrell is such an outside mind, and Pusha complements that nicely. DD: Who is your favourite outsider artist beyond music? Future: Leonardo DiCaprio. I like the roles he chooses and how he makes the characters come to life. He always makes them seem real, and he’s not afraid to play the bad guy. Most people wouldn’t consider him an outsider, but I do. To transform into someone else like that, you have to be a little bit of an outsider. That’s a unique talent.